3. OFFICE JOBS! (ADMIN| HR | STAFF | CLERICAL ) FOR POOLING !! WASH 'N DRY LAUNDROMAT FRANCHISE INC.
7. IT STAFF|IT HELPDESK-SERVICE DESK|TECH SUPPORT|PC TROUBLESHOOTING!ENTRY LEVEL! 10. FRONT DESK / RECEPTIONISTS / ADMIN / OFFICE STAFF! POOLING! 11. OFFICE JOBS! (ADMIN| HR | STAFF | CLERICAL ) FOR POOLING !! 12. HOTEL STAFF,SERVICE CREW,AIRLINE/HOTEL ATTENDANTS,RECEPTIONIST URGENT HIRING! 14. OFFICE CLERK / ADMIN STAFF / RECEPTIONIST PHONE OPERATORS POOLING!!! 23. PHONE AGENT - URGENT! Address: HGS Alabang, G/F Filinvest 1, Filinvest City, Alabang Muntilupa. Crawford & Company Broadspire (Philippines), Inc.
29. DISABLED PEOPLE’S ORGANIZATION (DPO) OFFICER (ROXAS, CAPIZ) URGENT HIRING! 31. START ASAP! BE A TECHNICAL SUPPORT REPRESENTATIVE FOR OUR BOSE ACC! 33. OPEN HOUSE ON MONDAY FOR TECH SUPPORT FOR BOSE ACCOUNT! 34. SALES REPRESENTATIVE, 17K to 19K APPLY NOW!!! 36. ( SALES AGENT ) AT SITEL TARLAC APPLY NOW! 40. 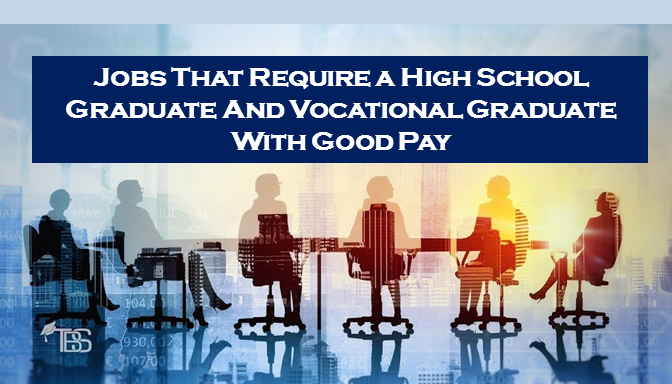 EXPERIENCE NOT REQUIRED, UNDERGRADS OK - CSR|SALES AGENTS - SPEED HIRING! 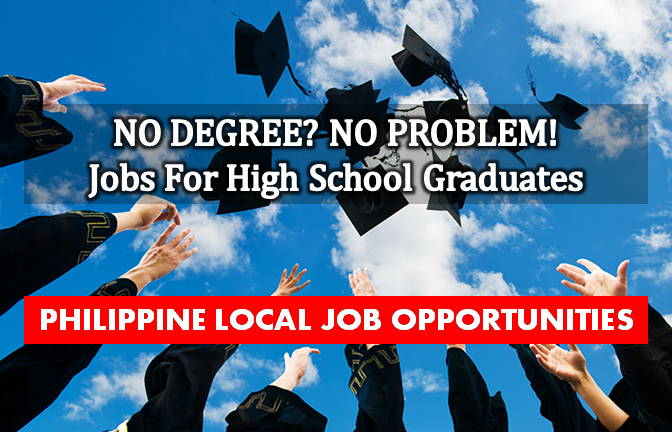 Are you looking for a local job that don't require a degree in the Philippines? The following are job vacancies for you. If you are interested, you may contact the employer/agency listed below to inquire further or to apply. 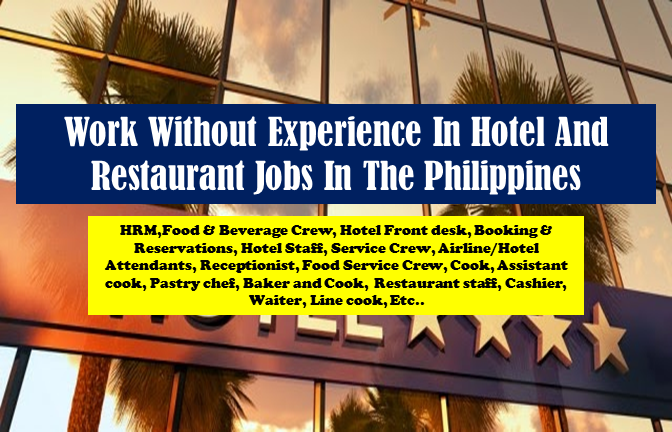 Are you looking for a hotel and restaurant job with no experience required in the Philippines? The following are job vacancies for you. If you are interested, you may contact the employer/agency listed below to inquire further or to apply. 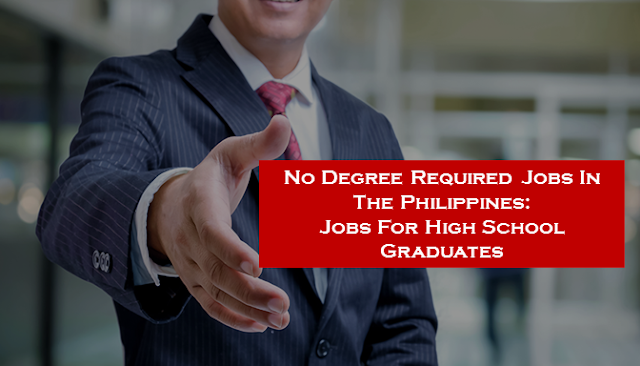 No Degree Required Jobs In The Philippines: Jobs For High School Graduates Are you looking for a local job with no degree required in the Philippines? The following are job vacancies for you. If you are interested, you may contact the employer/agency listed below to inquire further or to apply.